WHO KILLED GRETCHEN MEYER? Fear grips the residents of Hidden Falls the night Sonia Feldman and her best friend, Gretchen Meyer, are attacked in the woods. Sonia was lucky to escape with her life, but Gretchen’s body is discovered at the bottom of a waterfall. Beautiful, popular, and seemingly untouchable, Gretchen can’t be gone. Even as Sonia struggles with guilt and confusion over having survived, the whole town is looking to her for information…could she have seen something that will lead the police to the killer? At the top of the list of suspects is Gretchen’s ex-boyfriend—and Sonia’s longtime enemy—Marcus Perez. So when Marcus comes to Sonia for help clearing his name, she agrees, hoping to find evidence the police need to prove he’s the killer. But as Gretchen’s many secrets emerge and the suspects add up, Sonia feels less sure of Marcus’s involvement, and more afraid for herself. Could Marcus, the artist, the screwup, the boy she might be falling for have attacked her? Killed her best friend? And if it wasn’t him in the woods that night…who could it have been? 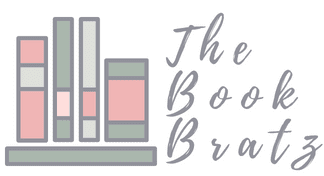 I have a habit of requesting books before I read their descriptions and end up totally surprised when I go to read. 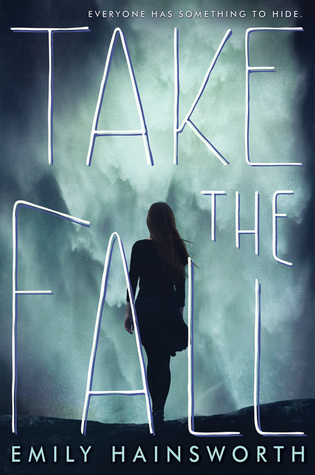 Take The Fall wasn't an unpleasant surprise, it was a nail biting on the edge of your seat kind of story but I predicted most of it. This book reminded me of Pretty Little Liars and The Lying Game Series by Sarah Shepard, the pretty, over privileged girl is murdered and the town points fingers. Take The Fall is a good example of a unhealthy friendship between two characters. Gretchen was a manipulative, queen bee that got her way in everything she wanted. She dragged others down take me her self seem better. Gretchen enjoyed the control she had over other people. As bad as I feel for Sonia, she just went along with it. At the end when she confessed what truly happened to Marcus, there was opportunity to walk away fron Gretchen and she never did. Instead she continually let Gretchen manipulate her and walk all over her. I predicted that Sonia killed her all along, there weren't many hints that pointed towards it so I am calling it a gut feeling, but no other characters really fit the bill of a murder through out the story. The predictability killed some of the enjoyment of the story for me but I am more frustrated with the ending. I would have liked to see the after math of Sonia's confession. Is she arrested? What happens with her and Marcus? Does she get UPenn after all? The story ends just as she begins her confession to the sheriff leaving the reader wondering what happens next to Sonia and other major characters. The most nail biting happened towards the climax of the story and it was one surprise after the other (It was the only part of the book I didn't predict) You finally think you know who the killer is and then you are tossed up in the air once again. Secrets are revealed, characters change. It was crazy and well written. Though predictable I enjoyed Take The Fall, it was a quick murder/mystery/thriller for a rainy day! I also share that habit of not really reading books' synopses, and being surprised. Like Burning Glass - I knew NOTHING about that book, other than it was a fantasy novel. Whoops? Anyway. Predictable doesn't sound good! When it comes to mystery books, unpredictability is everything! This could just be more, but I can't quite tell what rating you gave this one. It looks like five stars, but I'm getting the feeling that perhaps one or two of the stars aren't shaded, i.e. a three-star rating? I was reading the review and thinking, she gave this book five stars?! It sounds like she didn't completely enjoy it! D: But three stars would make more sense. Thank you! I took me forever but it finally got finished yesterday! Besides the predictability and other minor issues it was a 3 star rating. I have to edit the stars because they are a little confusing for me too haha. Thanks Alyssa! Even from the synopsis, I guessed who had killed her. Not sure why, gut feeling? Sounds enjoyable though. I didn't have that feeling, but I can see why you did. It reminded me of Pretty Little Liars (Which I enjoyed). I hope you like it if you read it! I couldn't stand the lying game - totally predictable and not enough action. 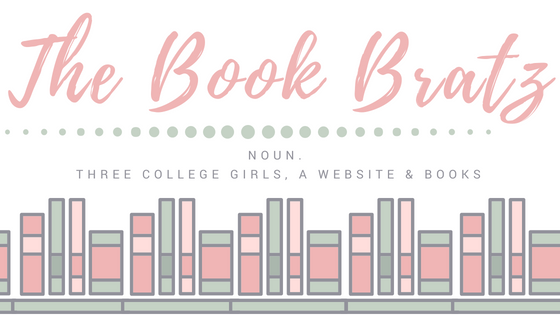 Mind you I read a similar style book by Jennifer l Armentrout and although usually a fan, couldn't stand the book so maybe this killer teenage genre thing isn't for me. I just can't stand the bitchiness - I went to school too - it wasn't that bad. Anyway rant over. Love the design. Yeah, school isn't that bad. I don't know why a lot of books make it like that. Oh right, now I recall it! The Lying Game was better as a show, to be honest! (i'm really digging your water paint decals!) But this book sounds really thrilling. I might have to pick it up because today is so rainy. And oddly enough, I really like spoilers xD so i totally read the words in red. Thank you!!! Haha, that is why I left the spoilers in, some people like them. This book wasn't horrible. I just wouldn't read it again if I had to.